A big leap forward for me … where exactly? First of all, to clarify for those who still don’t know what a second-level degree (‘tweedegraads bevoegdheid’) means in this country, let me quickly point out that from now on I have a paper to prove that I’m legitimately able and allowed to give English lessons to students in the secondary system between the ages of 12 and 15, which means the first three years of secondary education. This also means that my MA has actually been accepted as a BA, or something like that. Furthermore, it means that those members of my profession from the former Eastern Block who have studied to get degrees in two subjects at universities for five years (I also read Geography), will also be recognized as having completed three years of study at an Eastern-European high school (‘főiskola’ in Hungary), which would qualify them to teach in primary schools. If you have such a double MA from there, you should also first ask for this second-grade recognition. You won’t get the first-class recognition straight away, but will get second-grade if you ask for it. If you still want to have first-grade recognition, you can choose to apply for – supervised – practice teaching for a year at a qualified secondary school on that level, or apply to a university to make it possible for you to follow a short programme to reach the same. But this latter also involves practice teaching. Today I’ve decided to consider my cup half full, instead of pessimistically saying it’s still half empty. If you wouldn’t under any circumstances like to admit that all coins have a second side, please don’t go on reading this. For others, I’d like to shortly explain why my other eye still has tears in it. The tears may come from crying, but in my case, they may also result from laughing. Hard. On the one hand, before this recognition, I was told that I can’t have followed enough education in English with two majors compared to Dutch students following one. I wonder what I didn’t read or discuss in my five years. Was there anything missing from Beowulf through Chaucer through Marlow and Dryden to Mary (or Percy Bysshe) Shelley to Laurence? Not to mention all the Americans? Or have I missed a rare use of a particle or preposition in the grammar course? Thirty-four years ago. Guess how much of that knowledge I have had to use through the decades of my career. If I have missed anything in grammar classes, I have definitely had to make up for it through teaching. Anyway, if I want to get first-degree appreciation, I get the chance to brush all those up, and fast. Time is not on my side. On the other hand, now I’m allowed to teach kids of ages that I mostly never taught – those under 14. This is where I have no experience and methodological background, nor psychological leanings or instincts. I’m not the playful type. I’m rather the logical and culturally and otherwise interested type. But I can’t teach those who I’ve been teaching for 30 years and more-or-less successfully have been working with. In short, I can’t teach those and how I am able to teach and can teach those and how I’m not able to teach because I may not have been educated enough 34 years ago in facts that a teacher hardly ever uses while teaching, although I’ve read almost everything important published since my graduation, which I doubt very much that a lot of Dutch English teachers ever read. I find this a lovely contradiction, don’t you? But, of course, I’ll do my best if I get the chance. Finally, a little bit about the supervising we may get during practice teaching from my own point of view. 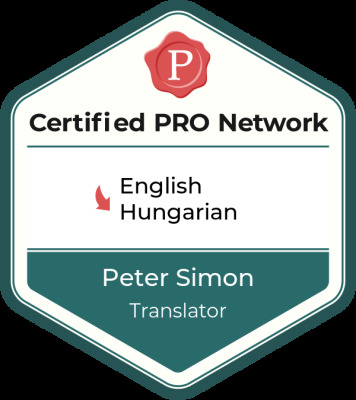 I got training for, and did supervising, or mentoring, or coaching for would-be teachers in Budapest for a decade. It may be interesting to become a ‘mentee’ once again, perhaps supervised by somebody younger and less experienced than I am. However, I definitely have less experience in classes in the Dutch system, so I have to try to look forward to hearing “but we here in the Netherlands …” a lot, possibly followed by remarks like ‘I’ve never hear about Murphy’, or ‘What is First Certificate Language Practice by Vince? I’ve never used anything like that’, and ‘Where can I get Inside Out or English Panorama?’ On the other hand, I’ll have to brace myself to translate the Dutch in the English language tests. If I survive an interview successfully first. And that has to happen in Dutch, to a large extent. My new paper also stresses that it’s at the discretion of a school to decide how much knowledge of Dutch they require from an English teacher. A few years ago I would have guessed, as much as an American or English colleague was required to speak Hungarian, or Chinese, in Hungary, or in China respectively. Now I’m not so sure. I guess I should go back to Hungary, kick out all those ignorant Americans and take over their jobs. They would be better off if they came here and learnt some Dutch, then earned five times as much. Do I have a future like that here?